This comfortable fully equipped bach is suitable for small families and couples and is a very short easy stroll to the beach and boasts all day sun. There is a good selection of books and DVD's for both adults and children. Indoor outdoor flow with a small furnished deck leading to a private fenced rear section. There is a wood burner for the cold winter nights. Ample off street parking. A childrens park/play area is close by. Comfortable little Bach next to the beach. Basic but comfortable provisions, very cosy. A wonderful short stay in my happy place. Great to be down at a central house to all that Waitarere offers. Everything you need is here. 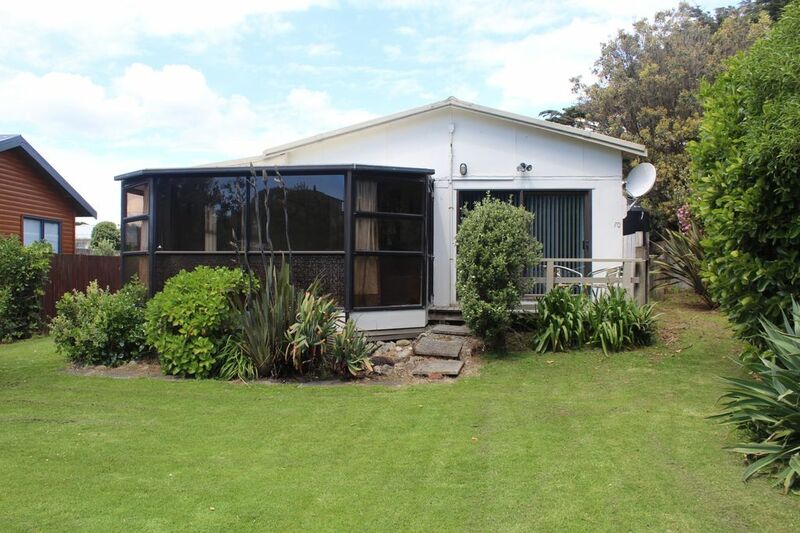 it is not an ultra modern beach house- just a old traditional kiwi bach. Easy to live in and everything is provided. Lots of books, DVD`s and a very well equipped kitchen. Everything works and the owner is very helpful. We had a great time and if we need we will book it again. Bach had everything we needed and more! Really enjoyed our night. Had all we needed. Recommend to all.